Midwest Bird & Exotic Animal Hospital has a skilled team of veterinarians who welcome you to our practice. At Midwest Bird & Exotic Animal Hospital, it is our daily privilege to provide quality vet care to your cherished pet, with compassion and competence. We hope to ensure a positive impact on our patients, pet owners and the local community. Dr. Clarkson was born and raised in Southwest suburban Chicago, where she enjoyed living with dogs, cats, fish and various small rodents, rabbits and other exotic pets. She obtained her BS in Animal Science from the University of Illinois in 1994 and went on to complete her doctorate in veterinary medicine at the University of Illinois College of Veterinary Medicine in 1998. 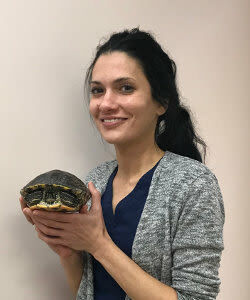 While in veterinary school, she enjoyed volunteering at the U of I Wildlife Ward, a student run wildlife rescue and rehabilitation clinic, where she first started learning about non traditional species medicine, guiding her toward a career in exotic pet medicine. She also completed an externship at The Animal Medical Center in Manhattan, NY. Dr. Clarkson spent her first two years after graduation in Charlotte, North Carolina as a veterinarian at a dog and cat general practice. She returned to her family and friends in Chicago in June 2000 to pursue her interests in exotic and emergency veterinary medicine. She joined the team at Midwest Bird & Exotic Animal Hospital in September 2000. In October 2004, she partnered with Dr. Poliakoff in purchasing the practice from Drs. Nye and Brown, and in 2005 they opened Midwest Animal Emergency Hospital in conjunction with MBEAH so that they could provide 24 hour exotic care as well as emergency care for dogs and cats after normal business hours. She enjoys seeing patients at both MBEAH and MAEH, and has a particular interest in the areas of emergency and critical care medicine, as well as dentistry and surgery. 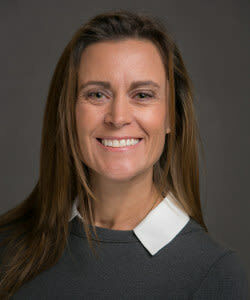 In her spare time, Dr. Clarkson enjoys spending time with her husband, traveling, SCUBA diving, downhill skiing, wine tasting, gardening and can often be found sampling some of Chicago's fine restaurants and nightlife. Dr. Eller has been with us since February of 2017 and has known she has a love for animals since she was young. She went to Texas A & M Galveston to obtain her BS in Marine Biology. Then she went to St. Mathew’s University to complete her Doctorate of Veterinary Medicine. During vet school Dr. Eller gained skills and knowledge in the area of exotic animal medicine by participating in extracurricular activities and specialized courses. She finished her clinical year at the University of Illinois. During that time she completed two externships; one at Georgia Aquarium and the next at Shedd Aquarium where she fell in love with Chicago, moving to the Windy City not long after. She enjoys helping owners care for their pets and in turn strengthening the bond between owners and their pets. For fun Dr. Eller likes traveling, scuba diving, science fiction, and caring for her rescue cats and ferrets. Dr. Alia was born in Yonkers, New York and was raised with her two brothers and sisters in Phoenix, Arizona. She and her siblings were raised surrounded by a variety of animals. Their daily chores consisted of taking care of the farm animals (cows, sheep, chickens, and ducks) and pet animals (lots of cats, bunnies, and a parrot). Dr. Alia grew up knowing she was going to be a veterinarian. She was accepted into Ross Veterinary School in 2010 and finished her clinical year at Purdue Veterinary School. She completed a one year externship at Animal House of Chicago before starting at Midwest Bird & Exotic Animal Hospital. In her free time she enjoys spending time in the city, running, and spending time with her cat Maynard. Dr. Courtney Patson is originally from Texas and graduated from Texas A&M University College of Veterinary Medicine in 2012. During her studies at Texas A&M, She worked for the Schubot Exotic Bird Health Center taking care of the resident PDD psittacines and, through the Veterinary Medical Scientist Research Training Program, worked on a study to develop an ELIZA test for avian bornavirus. After graduation, Dr. Courtney completed a year-long small animal rotating internship at South Texas Veterinary Specialists in San Antonio, TX. She has also completed externship at multiple zoos including Point Defiance Zoo and Aquarium, Northwest Trek Wildlife Park, and the Dallas Zoo. 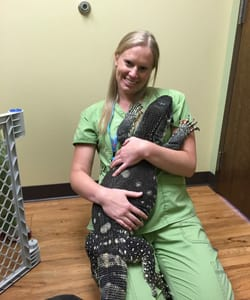 After working in Houston for 3 years at a general dog and cat practice, she decided to uproot her four-legged family to Chicago in order to join the team at Midwest Bird and Exotic Animal Hospital and fulfill her dream of working with exotics. 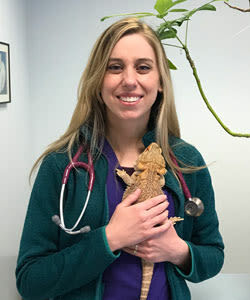 Although she enjoys working with all exotic species, Dr. Courtney has a special interest in reptile and amphibian medicine in which she hopes to one day be board certified. Courtney shares her home with her husband, Eric, a border collie mix named Cody and a bearded dragon named Oliver. In her spare time, she enjoys rock climbing, hiking, traveling, playing soccer, attending Chicago Red Stars games, and spending time at her favorite place in Chicago, the Field Museum of Natural History. Dr. Wilson was born and raised in Chicago, Illinois where she grew up with dogs most of her life. She earned her undergraduate degree in Animal Science from Tuskegee University, and completed her DVM from there in 2003. While in veterinary school, Dr. Wilson was most interested in behavioral medicine and the human animal bond. 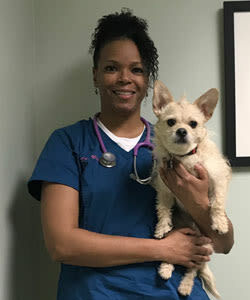 Upon graduation, she went on to complete an internship in small animal medicine and surgery at VCA Berwyn and Franklin Park Animal Hospitals in Illinois, where she gained much experience and interest in emergency medicine. After completing her internship, Dr. Wilson spent the next two years working as a small animal general practitioner and an emergency veterinarian. 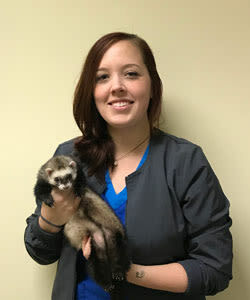 She joined Midwest Animal Emergency Hospital in December of 2006, and has been enjoying the experience of treating dogs, cats, and exotic animals. Dr. Wilson shares her life with her dog Alexander and in her spare time she loves to travel. Her motto is: There is a whole world out there just waiting for me to explore!!! Dr. Alyssa joined our team in September of 2018! She studied abroad in London and graduated from Royal Veterinary College in 2014. While in college she wrote her thesis on rabbits so we know she will fit right in at Midwest Exotic! Shortly after she traveled to South Africa to complete her externship where she got to work with baboons and wild animal rehabilitation and release. She also was able to help with conservation efforts by tracking and tagging lions and rhinos! Dr. Auge has five dogs and one rabbit, who rules the roost and has his own bedroom to play in. In her free time Dr. Auge likes to run with her border collie, Indiana, go to kickboxing, and baking.